Perfect for any season, reason or occasion, our Gift Certificate makes the ideal gift for friends, family or corporate incentives. 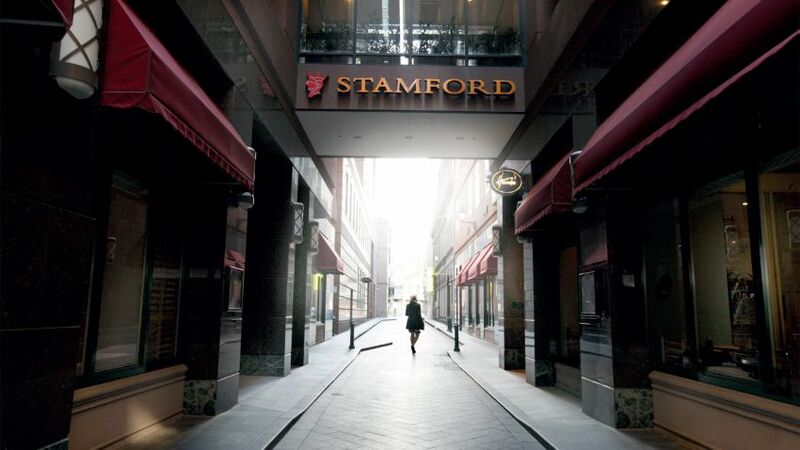 It can be used for high tea, a dining experience or accommodation stay in Stamford Plaza Melbourne in the heart of Melbourne. Our famous high teas are perfect for an afternoon of indulgence, providing an oasis of calm away from the Melbourne rush in Harry’s Restaurant. Or give a certificate for Harry’s Restaurant & Bar – our onsite restaurant that showcases the freshest local produce and wines with a combination of classic French and European influences. And for accommodation - you can give our signature Romance and Seduction package and take romance to new heights (think rose petals, champagne, canapés, a warm bath...). Or gift a certificate so your recipient can enjoy our accommodation in the heart of Melbourne and make their own memorable stay. You can purchase a certificate for any amount listed below and know that it can be used at any time (as a reduction on the rate booked, or towards dining or high teas). Please note that a 3% booking fee applies to all purchases. Gift Certificates expire 6 months from date of purchase.